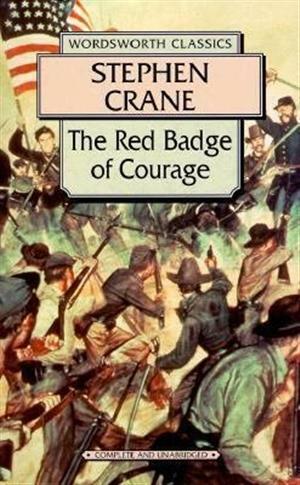 The Red Badge of Courage follows young Henry Fleming during his first battle in the American Civil War. The youth battles not only with the Confederate army, but with his own thoughts of succumbing to fear and hysteria. Although covering only one battle, for the infantryman, more than a few days pass. Stephen Crane was realistic in his depiction of how a mind feels fear. The ups and downs in Henry's moods are expertly sketched. I identified with the hero quite a lot: The sudden sweat when you feel that others know what you are thinking; that you have been a failure; the secret can be anything you feel ashamed about. Vividly we see Henry's shame after he flees from the battle and the sudden false pride when, his secret not being discovered, he is hailed as a hero among his fellow soldiers. It's all so real. We've all felt fear, and the unique portrayal of the step by step process of each thought and feeling was realistic. Henry suffers agonies during the battle and the agony of feeling inadequate haunts him the most. It is with him every step of the way. His mind become his greatest enemy. As a new author, I have to say I want to read more Stephen Crane. 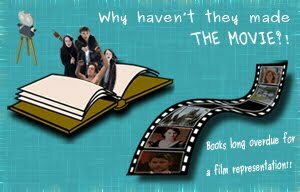 I liked the style of writing and the pace of the story was perfect. 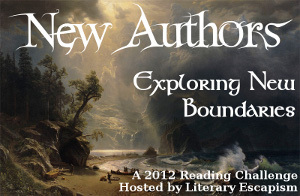 As for the Historical Fiction Challenge, I did enjoy the depiction of a battle and it was great as a psychological representation of fear, but didn't make the cut as one of my favorite Historical Fiction books. 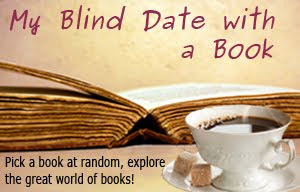 And finally my My Blind Date with a Book challenge. This is my first novel by Stephen Crane, and I think I would rate it (see my method of rating here) 4. Enjoyed it. Second will probably happen.